With every career opportunity, there are both advantages and drawbacks. “Nothing is all good or all bad,” says Kathy Ross. What distinguishes true leaders, she believes, is the ability to leverage those experiences to help create a better environment. It’s a topic Ross knows well, having held leadership roles at a variety of organizations, from acute care hospitals to large health systems. For example, spending nearly a decade at Ascension Information Services taught her how to navigate a “matrixed environment,” while early days as a respiratory therapist helped her understand end users. That was one of the driving forces for me taking this role — they’re not willing to accept the status quo, because they’re not comfortable with it. We’re reviewing and redoing everything globally, because we know it can be better. It wasn’t just about change — it was coming in and being able to decide what change is necessary by talking through the benefits and working collaboratively to develop a future roadmap. This job takes an experienced CIO. It’s not a position where you can learn on the job as a first-time CIO, especially given the challenges and complexities we have. I’ve seen and experienced numerous organizations that take an installation of a software solution and turn it over to IT to build and develop it for them, and IT never uses it. That hasn’t been successful. And so I think the industry as a whole has matured to understand that business owners have to own it. Kate Gamble: Let’s start with an overview of Broward Health — what you have in terms of hospitals, where you’re located, things like that. 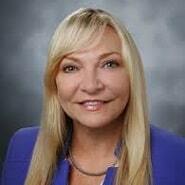 Kathy Ross: Broward Health is located in Broward County, Fla., which is most notably known for Fort Lauderdale. We have four physical hospitals, as well as a children’s hospital built within our largest medical center. So it’s classified as five hospitals. We cover the northern section of the county and we have the majority of the market share. Broward has approximately 1,500 beds and over 90 separate locations, and we have about 100 physicians that are employed, and we’re looking to expand up on that. Gamble: I’m sure you have a diverse patient population, between being located near Fort Lauderdale and having year-round people and vacationers. I’m sure that keeps things interesting. Ross: It does. Honestly, these days we don’t have a season. When I was here many years ago, you could see how the census went up and down based upon whether it was winter. For Fort Lauderdale and Broward County, and Florida in general, the seasons have pretty much flattened out, and we have a consistent census. Of course, we’re no different than any other healthcare organization in that when flu season hits, flu season hits; it has nothing to do with our transient population anymore. We’re pretty consistent. It’s a very diverse population, and we need to be able to communicate with a diverse population. So whenever we’re looking at starting new programs or software or anything to support it, we have to make sure we can offer it in multiple languages. Gamble: Right. In terms of the EHR, are you using Cerner, and is it in all the hospitals? Ross: We are Cerner Millennium in all of our hospitals. We also use Cerner Millennium in all of our ambulatory practices, with the exception of a 17-physician practice that uses NextGen. We will be discussing that over the next few years to determine whether we’re going to consolidate, but we do have a large footprint and standardization of Cerner throughout our organization. Gamble: And that’s been in place for a while? Ross: Yes. Broward Health has been a client of Cerner for many years. We have a close partnership with them. Gamble: So you’ve been at Broward since last summer. Going in, what were some of your biggest priorities? Ross: Honestly, it was like starting a new organization. We have all new executive leadership. We’re looking at technology and how can we use it to improve efficiencies and quality outcomes. This new leadership understands the value of IT. In the past, Broward has historically purchased technology but has not implemented it to its fullest potential. And so there’s a lot of optimization and rationalization going on at the base level. We’re also looking at strategic planning for the next three years. The great thing about this leadership team is they have the CIO at the table, because they understand the value of technology, and how it could help them achieve our strategic vision. Gamble: Right. It seems like there’s really a dedicated effort to change how things have been done. I’m sure that’s an exciting thing to be part of. Ross: It’s extremely exciting. That was one of the driving forces for me taking this role — they’re not willing to accept the status quo, because they’re not comfortable with it. We’re reviewing and redoing everything globally, because we know it can be better. It’s an agile organization now. This is a new development. We’re now looking at ways in which we can constantly improve. It’s very exciting to be a part of it. Gamble: With an organization that has seen a lot of change in recent years, it was probably really important for you to have the right approach coming in. Ross: Absolutely. As the new CIO, it wasn’t about instantly driving change, but understanding the aptitude and willingness to change. As you mentioned, there’s been a lot of change at Broward Health over the last few years. So it wasn’t just about change — it was coming in and being able to decide what change is necessary by talking through the benefits and working collaboratively to develop a future roadmap. Gamble: As the new CIO, what was your approach in getting to know people and trying to gauge their readiness for change? Ross: My second day on the job, I had meetings scheduled with all the executives. For the first four weeks, I was road showing. I visited with all the CEOs of the hospitals, the CNOs, and the COOs. I met with all the executives at corporate because I really wanted to get to know them, and for them to get to know me and understand some of the challenges. I’ve kept up those relationships and that connectivity since I’ve been here. As a result, I know what their challenges and objectives are and they mine, and so we’re aligned on a daily basis. Gamble: I’m sure it helps having had experience with different organizations and been in the position as the new leader. Ross: It’s extremely helpful. My background has really helped develop the skills I needed to step into this role, because this job takes an experienced CIO. It’s not a position where you can learn on the job as a first-time CIO, especially given the challenges and complexities we have. Having been a CIO at multiple organizations has really positioned me to be able to offer creative solutions for some of our strategic plans and operational opportunities. Also, because of my clinical background as a respiratory therapist, I understand how technology impacts end users, and I understand, when they’re talking from a clinical standpoint, what some of their challenges and needs are. It really helps me to be able to marry my clinical knowledge and my technical understanding to help deliver a well thought-out solution to the organization. Gamble: When you’re looking at optimization and making sure technologies are working are helping clinicians do their job more effectively, what has been your approach? Ross: We’re focused right now on the mindset of IT as a strategic partner. That means we’ll help you achieve your business goals, but we’re putting the ownership piece back on the business. They need to own what needs to happen for them to do business. And so we’re partnering with the business units to say, ‘how can we help?’ It’s developing that relationship — not just at my level, but throughout the entire organization — to help determine how to measure outcomes, and whether we’re doing that successfully. IT is not going to be the one to say, ‘this is how you measure it.’ That’s all in the past. Now it’s about, how can we do this collaboratively, and how do we know if we were successful? We’re doing a lot with setting up governance and specialized meetings that engage both business owners and IT to come up with an action plan, and be able to decide what are the deliverables, how to measure success, and how to course correct if we haven’t succeeded. This is new for Broward Health. We’re in the early phases of it, but everybody is very receptive and engaged. Gamble: That is a change. I think we’re seeing that new way of thinking start to emerge across the industry. Kathy: I agree. We are seeing that, especially as healthcare is maturing and developing in its understanding of IT. Historically, I’ve seen and experienced numerous organizations that take an installation of a software solution and turn it over to IT to build and develop it for them, and IT never uses it. That hasn’t been successful. And so I think the industry as a whole has matured to understand that business owners have to own it, because it is how they do business. Gamble: Right. Are there any other big priorities you’re looking at in the next year or so? Ross: The big thing we’re focused on is that base foundation — getting our patient revenue cycle systems optimized and enhanced, and getting our ERP and HCM systems enhanced. As you know, the majority of healthcare has been focused on Meaningful Use and getting interoperability and getting clinical applications — to the detriment of our business applications. And so now, we’re putting the focus back on that end, as well as looking at customer experience and how can IT be at the table to assist with that. Gamble: That’s a really good point. We are definitely starting to see the focus shifting, which is probably welcomed by CIOs. Ross: Absolutely. But it’s not necessarily just shifting, because we’re constantly enhancing our clinical operations. Now there’s more of a direct focus on business operations. It’s a very welcome change; it’s been needed for numerous years.